Historic town view with bay window overlooking Water Street. 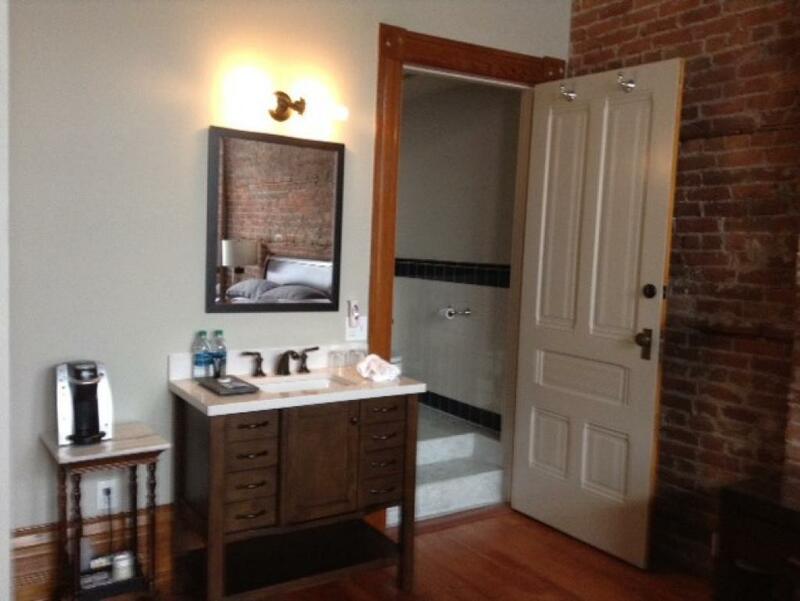 King bed and private bath with shower/tub. 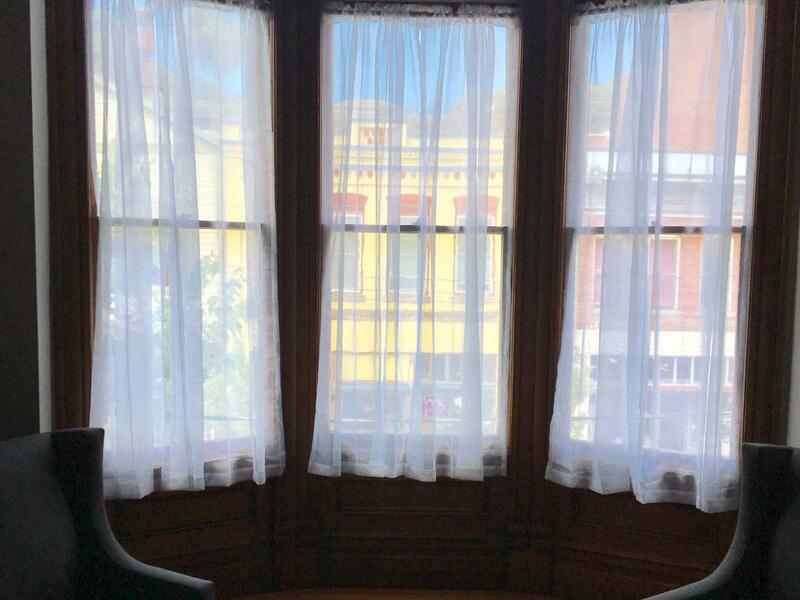 Town view with bay window overlooking the historic district. King bed and private bath with shower/tub. 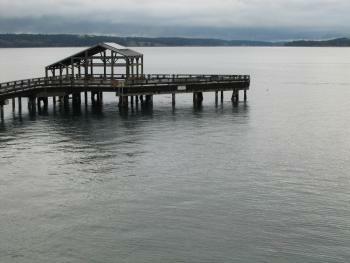 Water side with view of the bay. 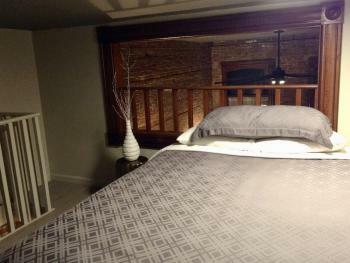 King Bed on the main floor and a Queen Bed in the loft. 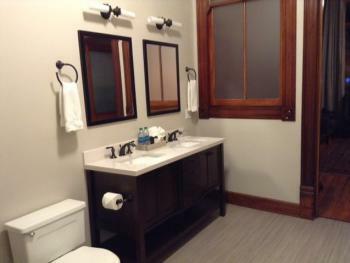 Private bath with shower/tub. 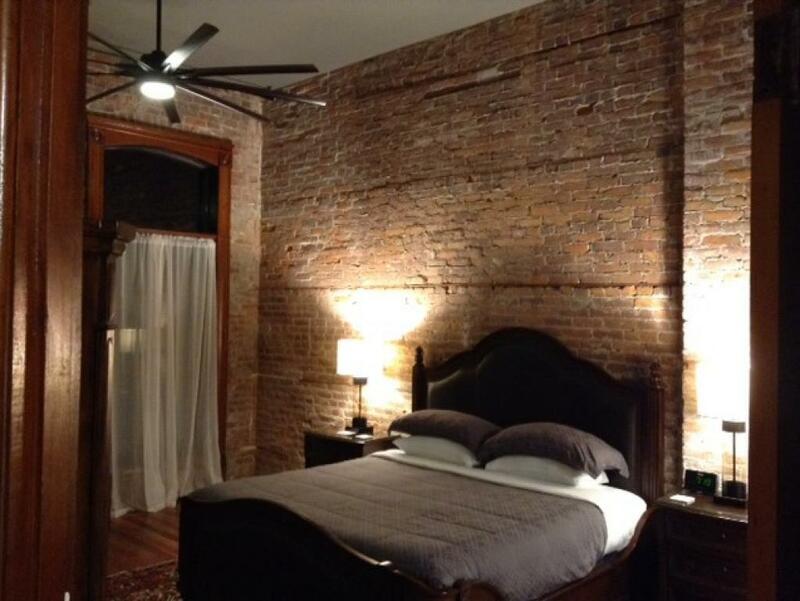 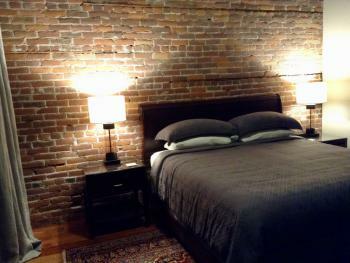 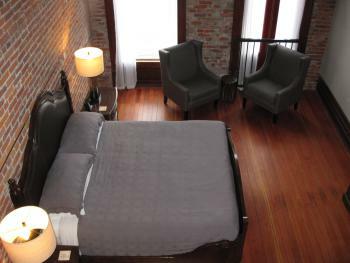 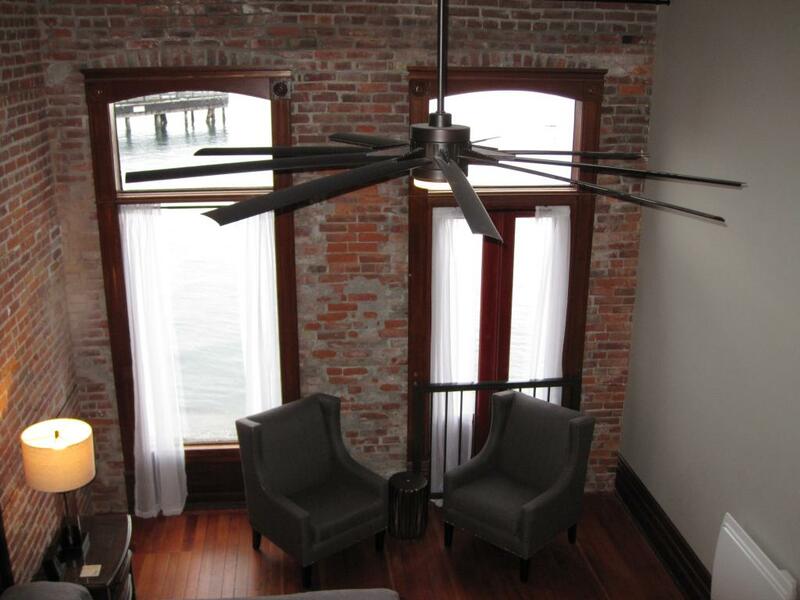 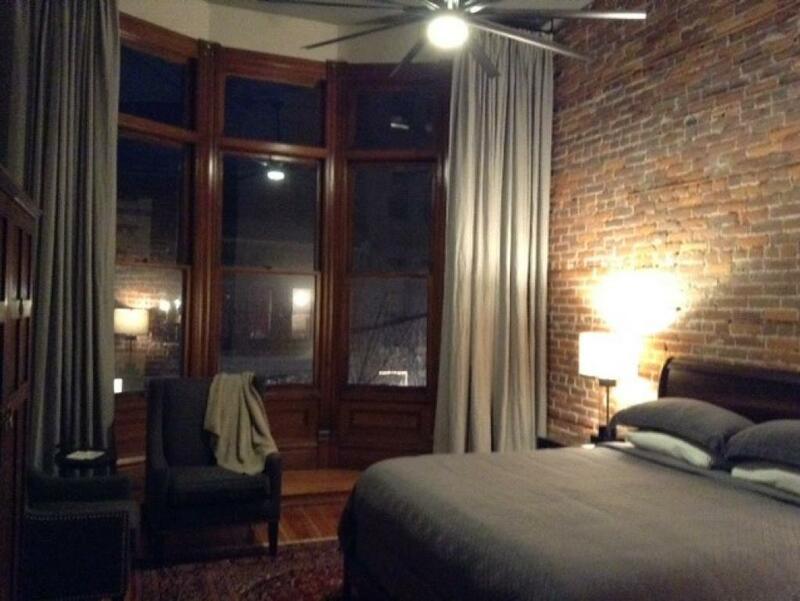 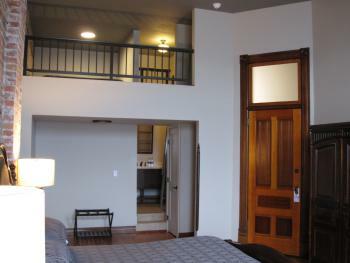 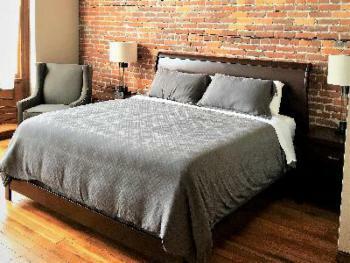 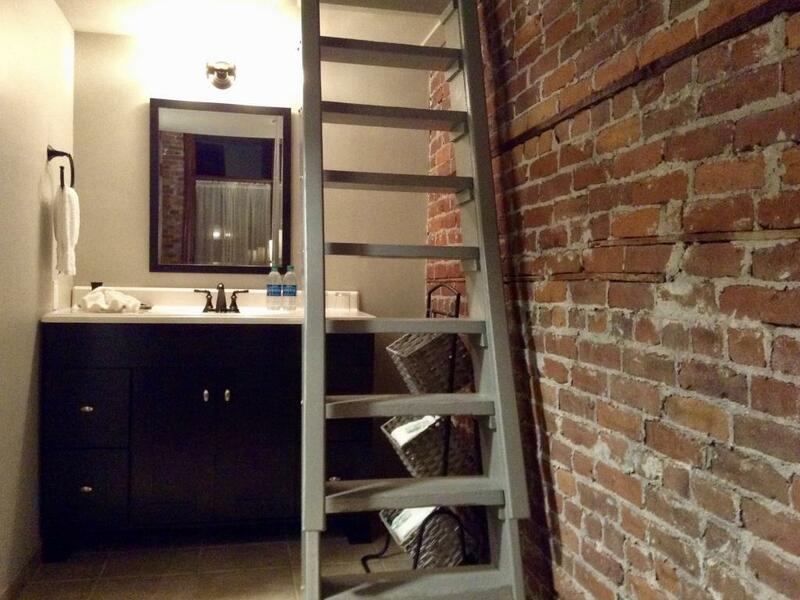 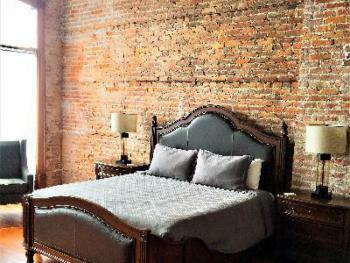 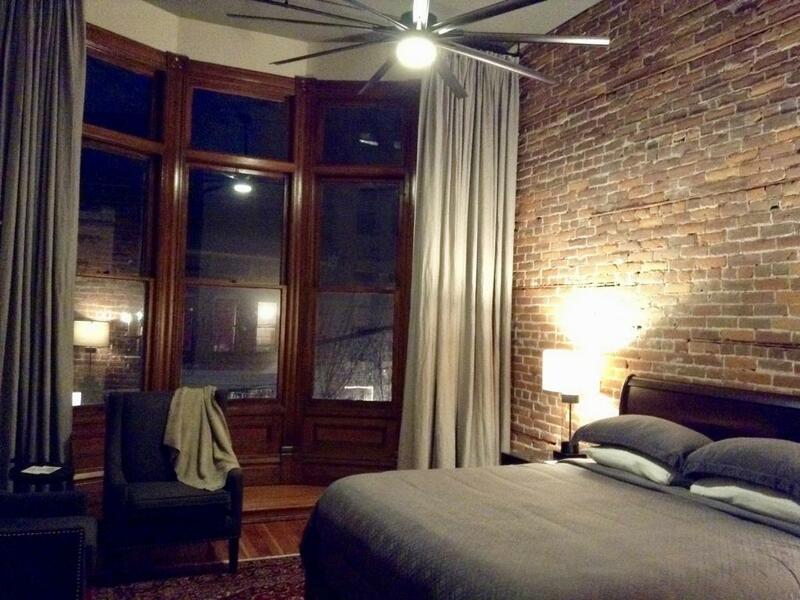 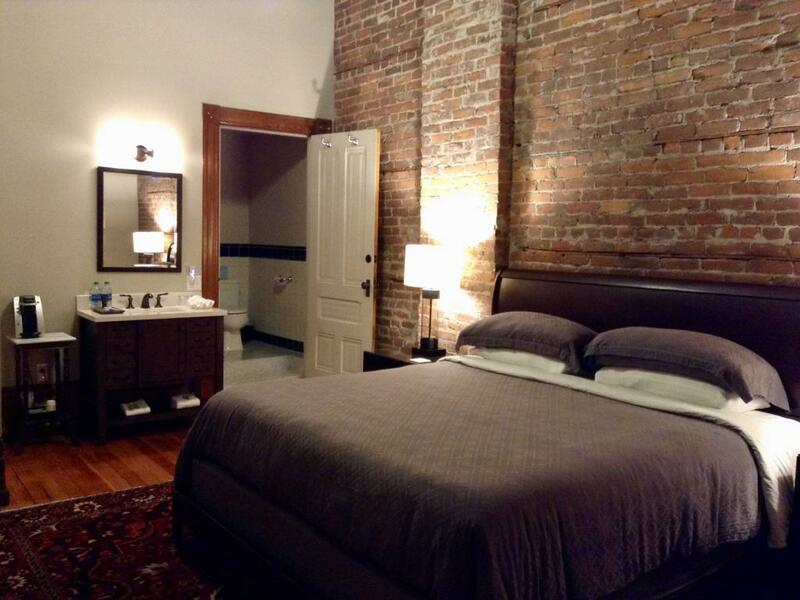 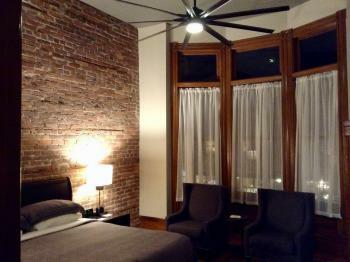 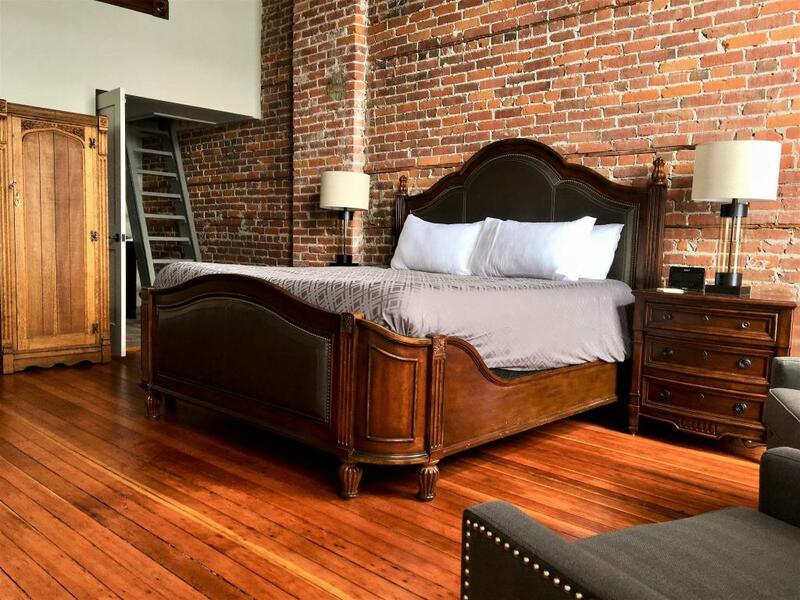 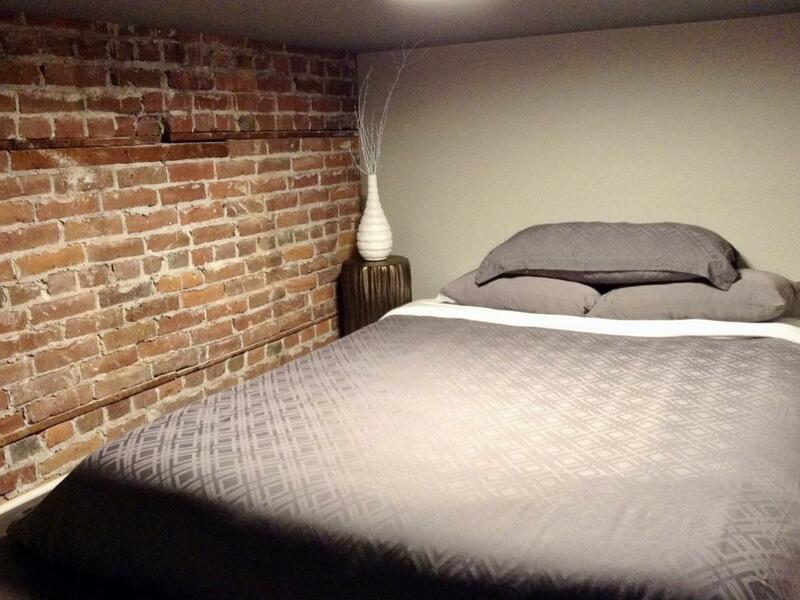 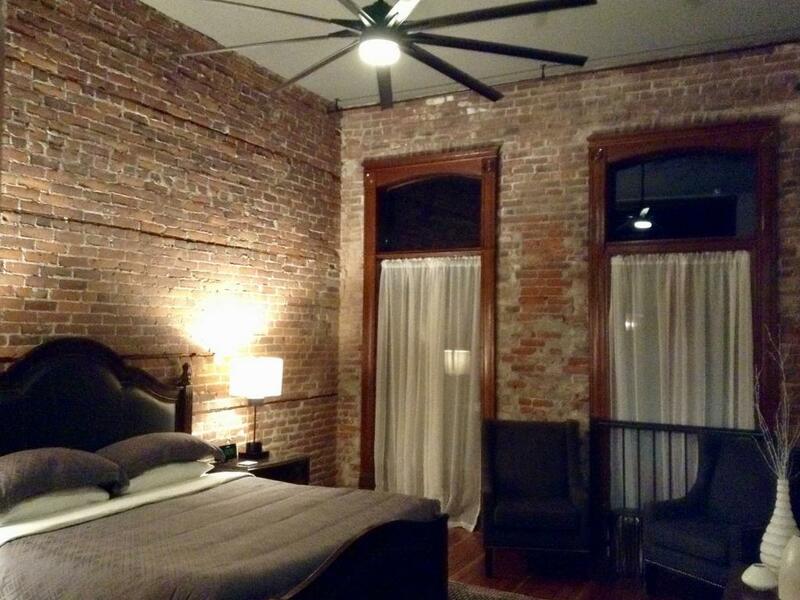 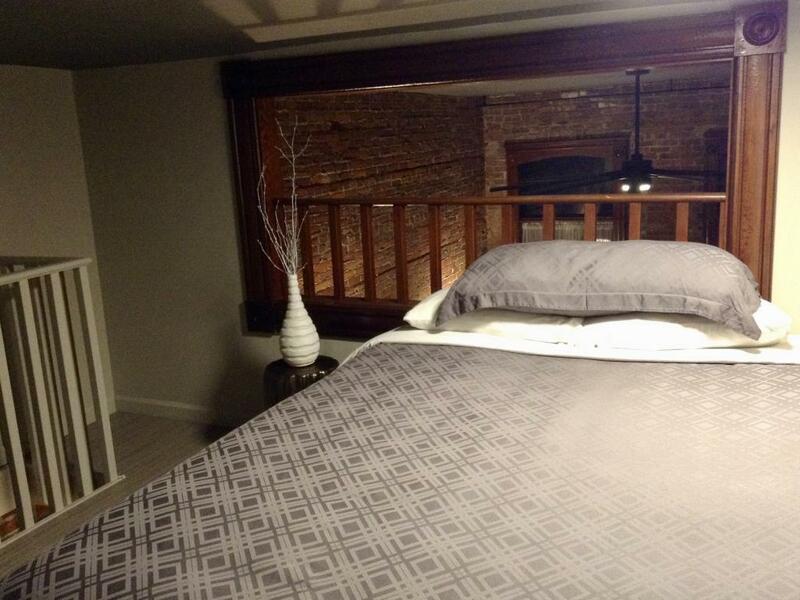 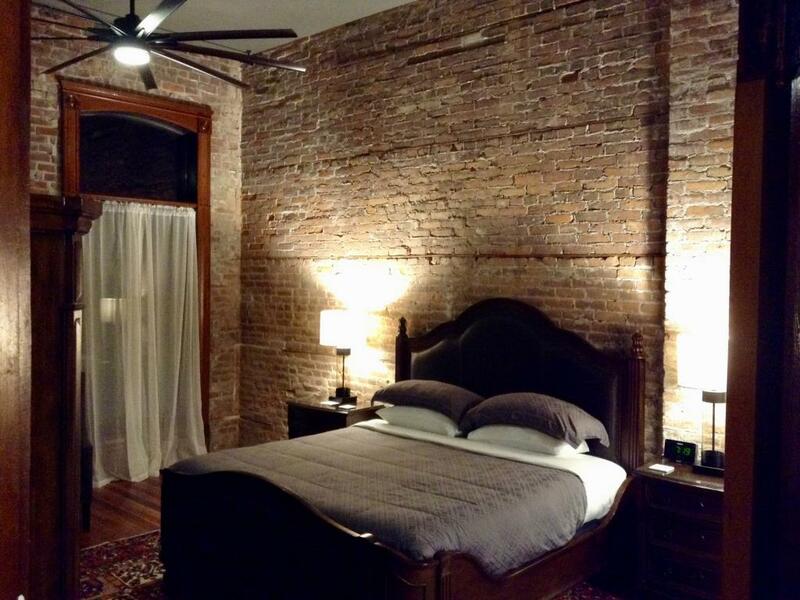 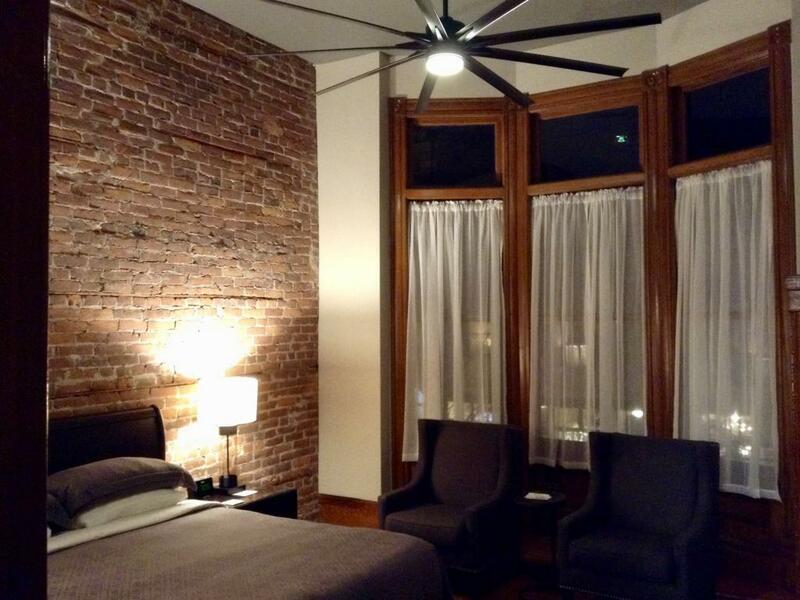 Water side with view of the bay, exposed brick wall, king bed on the main floor with a queen bed in the loft. 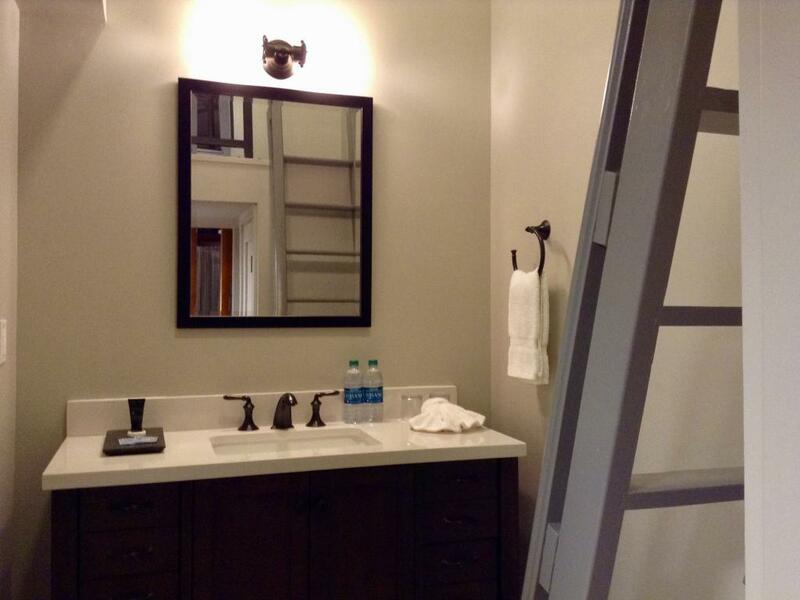 Private bath with shower/tub. 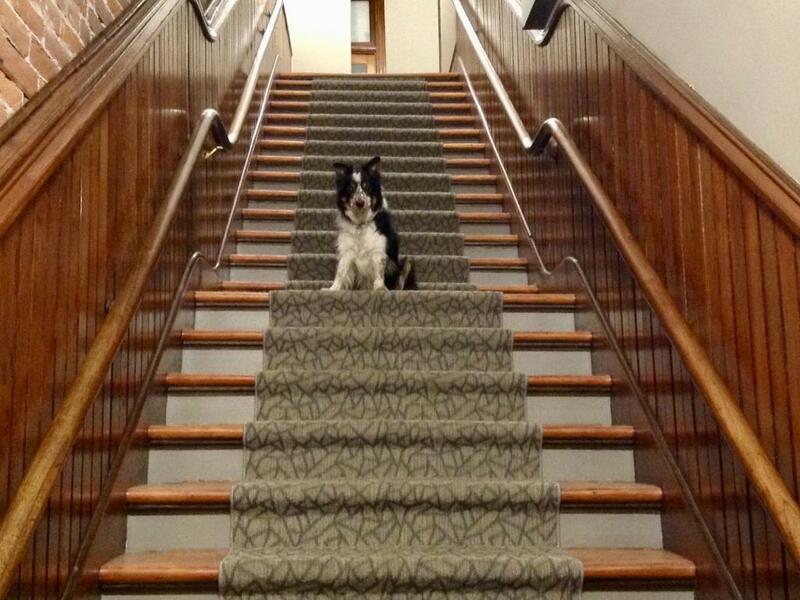 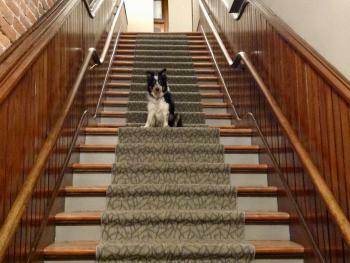 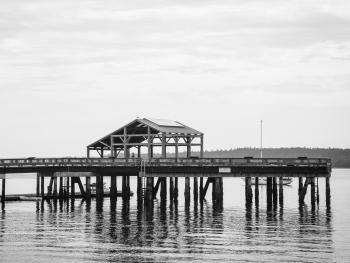 In 1889, George Sterming realized his lifelong dream by erecting the building which today still bears his name. 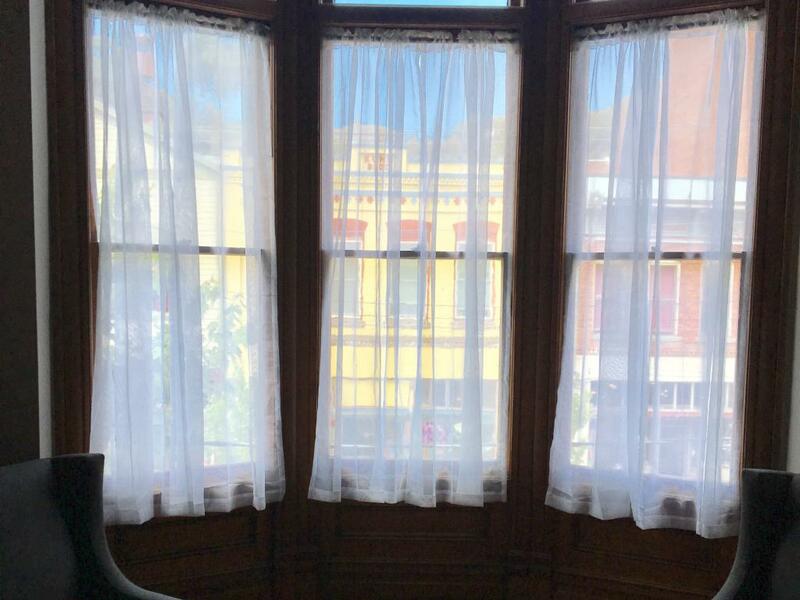 At the time, Sterming’s vision was to house The Belmont Saloon on the main floor, with the upper floor destined to be become The Belmont Hotel. 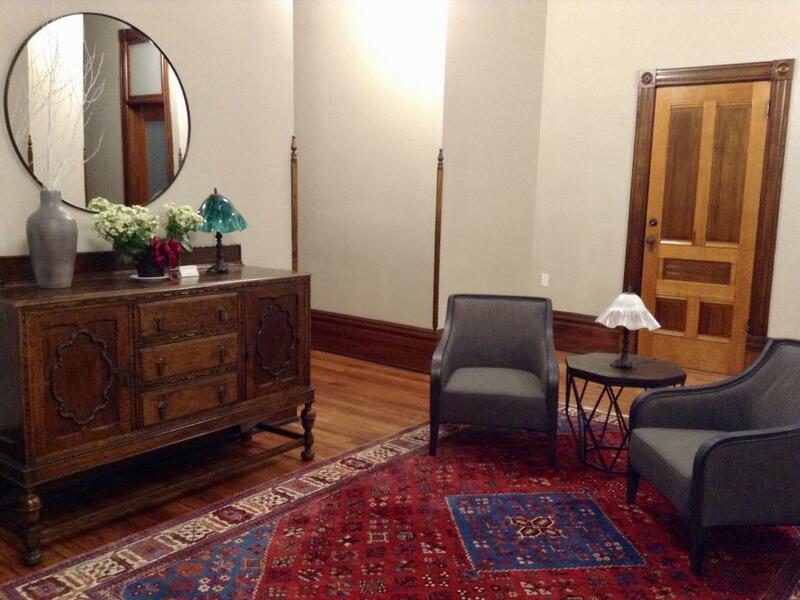 George Sterming was a shrewd and experienced saloon keeper, whose expertise was catering primarily to the maritime trade. 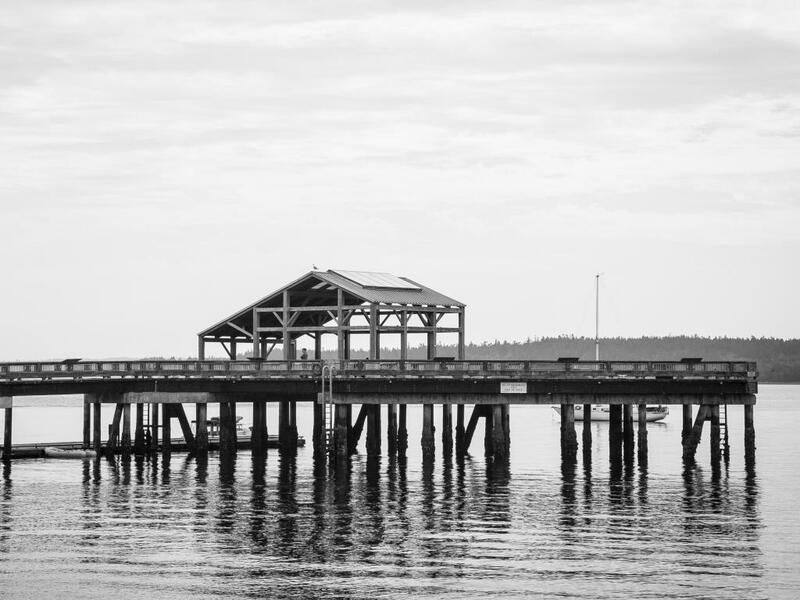 With patrons comprised of an eclectic mix of sea captains, cargo brokers, adventure seekers, gamblers and hustlers, The Belmont soon became an establishment where business and pleasure commingled. Merchants squabbled about damaged goods, Cargo brokers negotiated rates and hustlers spread gossip, all the while, newly arrived passengers thanked their individual gods for the end of an often terrifying passage from afar. 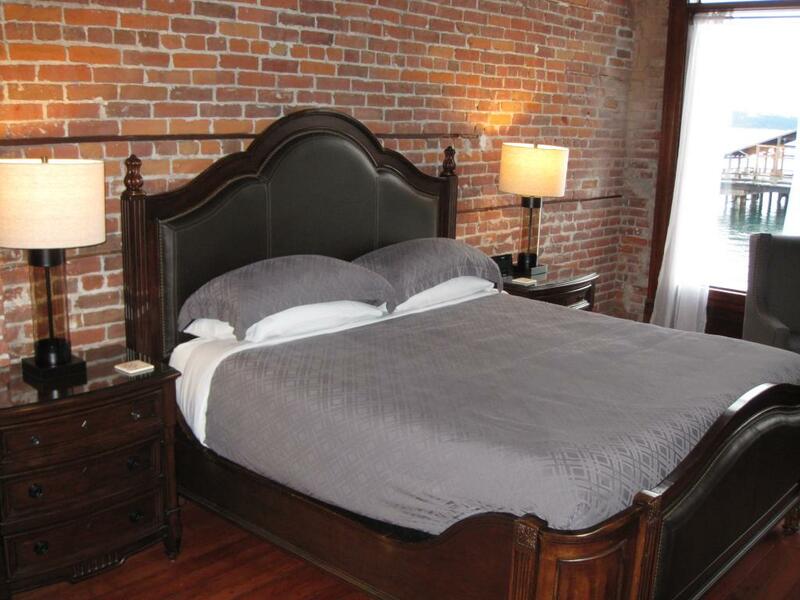 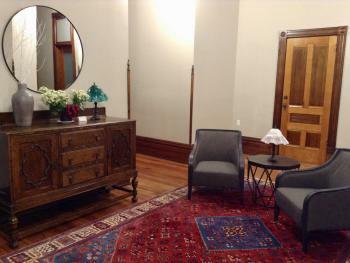 In the Summer 2018, The Belmont Hotel underwent a total renovation with modern amenities, while maintaining its Victorian elegance, including king size beds, ensuite baths, high ceilings with over-sized ceiling fans and exposed brick walls.